George Hotel, 6pm. At the Press Launch for Limerick Pride 2018 the Pride committee will share details to the public of the upcoming festival which takes place from July 2nd to July 8th, 2018. Everyone is welcome to attend. Limerick City Hotel, 6pm. 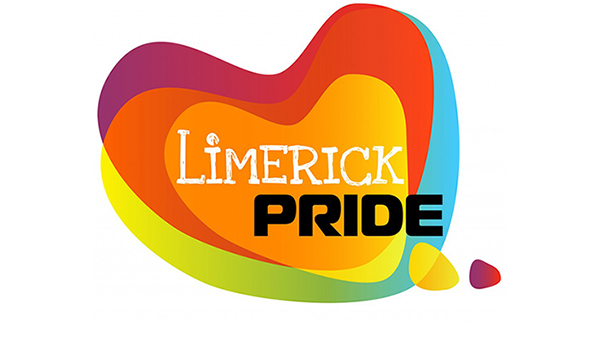 Enjoy us from 6pm for the official Limerick Pride launch at McGettigans Bar, Limerick City Hotel. There will be free finger food, performances followed by music from DJ Eamonn on the night. Print with Pride takes place at Limerick Printmakers Studio & Gallery in Johns Square from 4pm to 5.20pm. This is a FREE event where you can bring along your t-shirts, jumpers, tote bags, or simply use some of the paper at the event, to create your own custom Limerick Pride Silk Screen art piece. Join us for this fun free event! Cupcakes with Charnell takes place in @Hook & Ladder on Sarsfield Street at 6.00pm. Learn to make rainbow cupcakes in a hands-on baking class. Discounted price of €5 for the class. Limited spaces available, booking essential through Limerick Pride. Last year sold out so be sure not to miss your chance this year by booking your tickets early. Email chair@limerickpride.ie to book. Queens on the Cobbles at Cobblestones Joes, 8pm. It promises to be a great evening, with loads of different types of entertainment such as Magic, Comedy, Drag performances, Live bands and Artists. Free entry event, OVER 18s R.O.A.R. The Limerick Lady & Limerick Pride present ‘I Heart the Cranberries’. Dolans Warehouse 9pm. SOLD OUT! A loving tribute to the music of The Cranberries in Aid of Adapt House and Limerick Mental Health.A very special concert at Dolans Warehouse on July 5th is the latest in the well-known ‘I Heart’ series which usually takes place at Whelan’s in Dublin and has paid homage to Bowie and Elliot Smith. ‘I Heart the Cranberries’ could of course only take place in the home city of Cranberries’ frontwoman, the late Dolores O’Riordan. On the night over twenty artists from all over the country will gather to pay tribute to Dolores O’Riordan and the music of the Cranberries – audience members can expect unique renditions of some of the world’s favourite Cranberries songs, with the night culminating in an explosive performance of some of the band’s chart-topping anthems, brought to you by our brilliant house band fronted by leading female vocalists from Limerick and beyond. Limerick Youth Service & GOSHH are teaming up to host Limerick’s only Limerick Pride Youth Party at @Lava Javas Youth Cafe, Lower Glentworth St, Limerick on Friday, July 4th at 6-9pm. Young people (14-19yrs) from Limerick & beyond are invited to the Limerick Pride Youth Party where there will be music, chilling out together, meeting new people, arts, number of activities. The team will also be preparing for Limerick’s Pride Parade which takes place the following day. Those interested in attending are invited to the youth café which is located at Limerick Youth Service’s Community Training Centre. Pride Youth Party is a celebration of the LGBTI community and all young people, regardless of gender, ethnicity, sexual orientation or race are invited. A member of Youth Work Ireland, Limerick Youth Service remains committed to supporting and encouraging young people to be active participants in shaping their futures. ROAR. This is a free entry event with all welcome to attend. ‘T’was the night before Pride’ will take place at Mickey Martins from 9pm-1am. Mickey Martins returns for another year to host the pre-pride party with guest DJ’s and camp classics. The night that is now known as a traditional Pride event. This is a particularly special year as Mickey Martin’s has pulled out all the stops to ensure their customers have a great Limerick Pride in July. T’was the night before Pride’ is taking pride to the next level and promises to be an epic night. There is no entry fee for this event, only rules are to join yourselves and have fun! The highlight of our annual festival, the Limerick Pride Parade is a chance for the LGBTQ community, family, friends and the entire city, to gather to promote and celebrate diversity and equality. **Pride Parade gathering @1.30pm for groups and floats, parade leaving city hall strictly @2.30pm sharp!! Then proudly and visibly make its way through the city then back towards City Hall. This year is going to be more colourful than ever before so please feel free to be as colourful and creative as you wish. Limerick LGBTQ Pride ‘Pridefest 2018’ will be held in the gardens of the Hunt Museum this is a free family-friendly event with a free bouncing castle for kids, cone van, cafe and bar on site, live music from Voice of Ireland Emmett Daly & Cork due Sparkle, with plenty of entertainment. We have teamed up with Nevsail Watersports/ Limerick Adventures to offer you an experience like no other!! Nevsail Watersports will be giving amazing discounts of 50% off during Pridefest for anyone that would like to experience our beautiful Riverside city. Pride Climax Party takes place Saturday, July 7th, Dolans 9pm. Three venues, The Warehouse, Upstairs in Dolans and Kasbah Club all under one roof to bring you the biggest party of all!! From 9pm the Warehouse will light up for this year’s pride party with acts from across the globe. Your host for the evening, KiKi St Clair followed by performances from Fada, Letycha Le’Synn, Mia Gold, Europe number one Pink tribute act Laura Tapp, for the first time in Ireland our headliners, Lasgo vs Ian Van Dahl Battle Tour. From 11.30pm Saved by The 90’s upstairs in Dolans & 80’s and camp classics in the Kasbah Club will begin. Pre-tickets are on sale & can be purchased online for €12 at www.dolans.ie or Ticketmaster.ie.